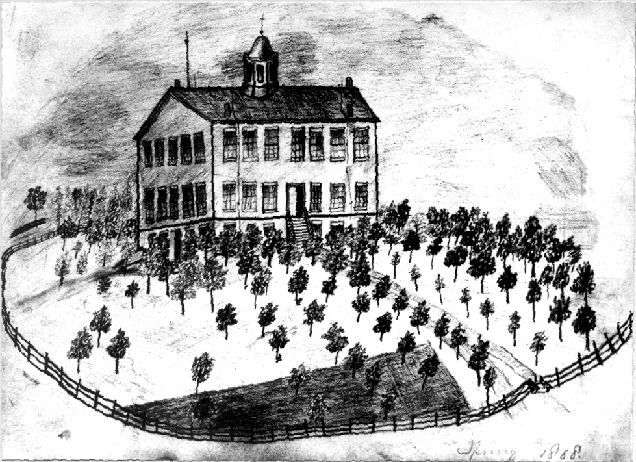 For decades it has been believed that the Illinois Institute, and its later incarnation as Wheaton College, was a stop on the Underground Railroad. It was true that those institutions stood firmly on the principle of abolition and its leadership were heavily involved and known widely as abolitionists. They risked their lives to seek freedom for the enslaved. Because it has been difficult to substantiate these beliefs and reports many at Wheaton College have felt less sure of the claims made by those more knowledgeable about the activities of the Underground Railroad in DuPage County. All that had been previously located was a reference to a quote by Maria Blanchard Cook that in Wheaton the Underground Railroad was operated above ground. Glennette Tilley Turner has spent decades researching and reporting on the freedrom trail as it ran through the county, but even her research had yet to uncover any written documentation to support claims that on their face held weight. It appears that the faith of many was well placed. Dr. David Maas, of Wheaton’s history faculty, has been putting the finishing touches on a book manuscript detailing the abolitionist roots of Wheaton College and those that served in the United States Civil War. He made a recent discovery, related somewhat to Maria Cook, that challenges the cloud of uncertainty that has hung over this question. While confirming a detail related to Ezra Cook’s service with the Thirty-ninth Regiment of the Illinois Volunteer Infantry he encountered Cook’s retelling of how he entered the service and his association with Wheaton College. The outbreak of the war in the spring of 1861 found myself and two sisters attending Wheaton College, which had a national reputation as an Abolition school in an Abolition town. So strong was public sentiment that runaway slaves were perfectly safe in the College building, even when no attempt was made to conceal their presence, which was well known to the United States Marshal stationed there. With hundreds of others, I have seen and talked with such fugitives in the college chapel. Of course they soon took a night train well-guarded to the next station on the U. G. R. R.
Clark, Charles M. The history of the thirty-ninth regiment Illinois Volunteer Veteran Infantry. Chicago, 1889. p. 490. This discovery is the fruition of much desire and interest. It confirms boldly–with its affirmation that “hundreds of others”–that in Wheaton the Underground Railroad was operated in full-view and above ground. It also provides very strong evidence that can support a claim that Wheaton College was a stop on the Underground Railroad. It solidifies the beliefs of many that the abolitionists in Wheaton and at the Institute and College put into action their principles despite the legal and financial risks to person and institution. Cook’s statement has several internal strengths that help bolster his claim. He does not make himself the center of the story and states that many in the town stood behind the abolitionist activities of the school. Cook makes clear that the U.S. Marshal was aware of the activities — a statement that could easily have been challenged if it were untrue and known to be untrue by the townspeople. Finally, he states that he was not the only one to see the fugitives, but that there were hundreds of others. This could be viewed as hyperbole, but the college’s enrollment (in all of its academic programs) can support this claim. 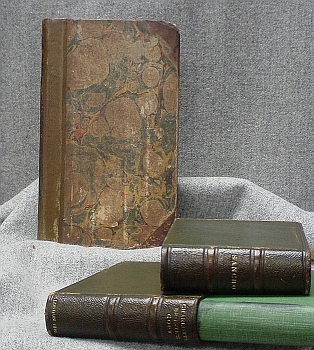 Within the William S. Akin Rare Book Collection there lies a unique copy of John William Cunningham’s Sancho, or The proverbialist (London: Ellerton and Henderson, 1816). 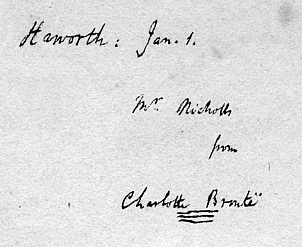 It is Charlotte Bronte’s autograph copy to her husband, Arthur Nicholls (inscribed on the fly-leaf and title page) and contains Nicholls’ marginalia written after Bronte’s death. Arthur Bell Nicholls was the 4th suitor to propose marriage to Charlotte Bronte. He was curate in her father’s parish at Haworth and his surprise proposal resulted in a firm refusal by Rev. Bronte and Charlotte herself. Mr. Nicholls eventually resigned and left the village, yet would soon resume his correspondence with Charlotte. By Christmas of the following year, he and Charlotte resumed meeting together and eventually changed Rev. Bronte’s mind on the matter. The two were married in June 1854 and after spending a month honeymoon in Ireland returned to Haworth and Nicholls resumed his duties as curate. Their happy marriage would end tragically as Charlotte died the next Spring during the early months of their first pregnancy. She was 38. Arthur eventually remarried yet never had children of his own. With the 1940 dismissal of Dr. J. Oliver Buswell from the presidency of Wheaton College, word spread quickly among conservative Christians that this rather important post was suddenly vacant. Shortly after Buswell’s departure, Dr. Louis Talbot, pastor of The Church of the Open Door in Los Angeles (founded by R.A. Torrey), received a wholly unexpected telegram from Wheaton College offering him its presidency. Excited about the possibility of leading the institution that had granted him an honorary doctorate in 1935, Talbot discussed the enticing prospect with trusted associates, including a bosom pal from Philadelphia. As they chatted, Talbot’s friend realized that something was askew, so he asked about the city from which the message originated. Confirming suspicions, the telegram was sent from Canada, not Illinois. At that point both men realized that this was probably the plot of a mutual friend, Jim McGinley, a Canadian pastor known for hatching practical jokes. Turning the tables, Talbot phoned McGinley and announced that he had indeed chosen to accept Wheaton’s invitation, and would that very Sunday resign from his position as pastor. McGinley, horrified that the prank had gone too far, desperately tried convincing Talbot to please, please reconsider this hasty decision. But Talbot ignored him and moved ahead, to the point of standing in the pulpit before his congregation, leaning dramatically into the microphone…only to announce matters entirely unrelated to resignation. Abashed but relieved, McGinley got the point. 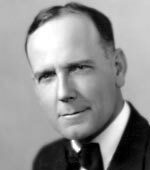 Originally from Australia, Talbot graduated from Moody Bible Institute in 1913, and from 1915-17 served as pastor of Calvary Memorial Church in Oak Park, Illinois. His biography, For This I Was Born, appeared in 1977. 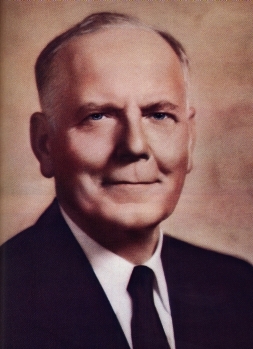 Talbot served as Biola’s second (1932-1935) and fourth president (1938-1952). 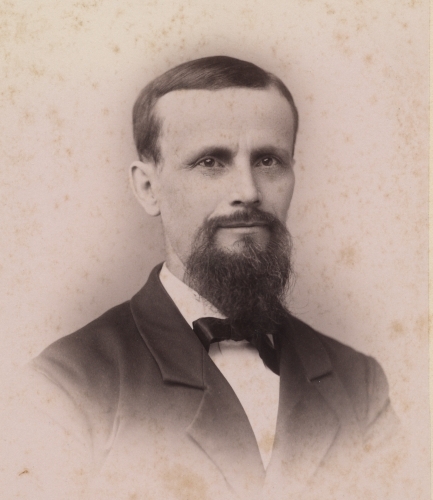 Dr. J. Richard Chase, sixth president of Biola (Bible Institute of Los Angeles), founded by Lyman Stewart and T.C. Horton on February 25, 1908, assumed the office (for real) as the sixth president of Wheaton College in 1982. Run Your Home Into The Ground! 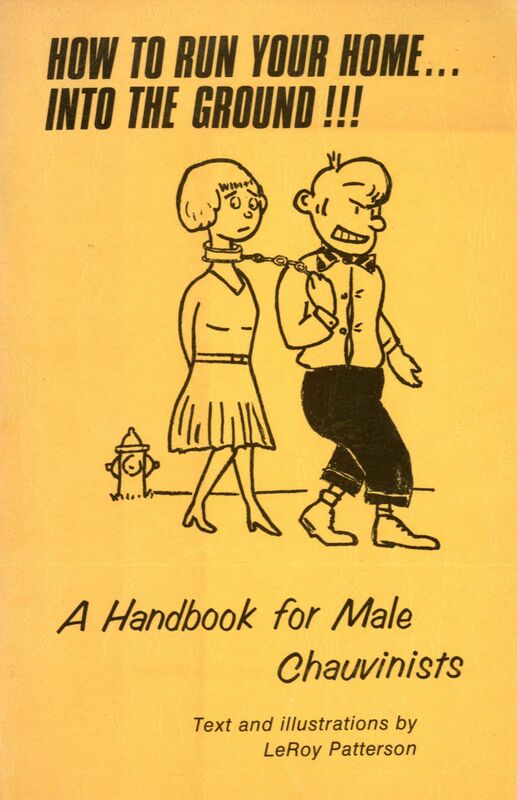 This evocative booklet was written by retired Wheaton College Chaplain, LeRoy “Pat” Patterson ’40. Penned in 1975 during the rise of the feminist movement, Patterson reflects on his 33 year marriage to his high school sweetheart and raising of three “fairly normal” children to highlight ten sure-fire ways to run your home into the ground. At the conclusion of his tongue-in-cheek pamphlet, Patterson quotes from select passages from J.B. Phillips’ paraphrase of the New Testament. 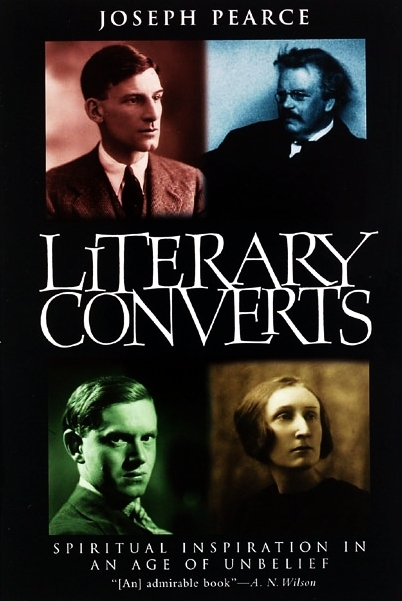 Joseph Pearce, in his Literary Converts, presents biographical explorations into the spiritual lives of some of the greatest writers in the English language and includes Malcolm Muggeridge and T.S. Eliot among his subjects. This book touches on some of the most important questions of the 20th century. Malcolm Muggeridge seemed to have a ambivilent relationship with T.S. Eliot. Ian Hunter, in his biography Muggeridge: a life, indicates that Muggeridge had sent Eliot some of his short stories that Eliot praised. However, Muggeridge is also noted elsewhere that Eliot was a “death rattle in the throat of a dying civilization.” Muggeridge had been introduced to Eliot’s work while teaching in Cairo. Muggeridge first heard of Eliot, particularly his Wasteland, while teaching in Egypt and attending a lecture by his department chair, Bonamy Dobree. In this lecture Dobree stated that “he would stake his literary reputation that the publication of Eliot’s ‘The Waste Land’ would be considered as being on a par with that of the Lyrical Ballads [by Wordsworth]. This was a statement that Muggeridge wished to refute on the spot, believing that it was unkind to let such a dramatic challenge pass unnoticed. 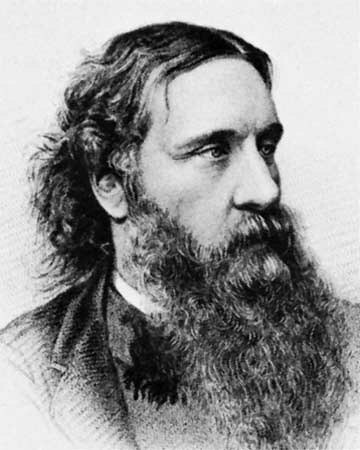 George MacDonald (1824-1905) was one of the most prolific and original of the Victorian novelists, composing a stunning array of novels, poetry and fairy tales, all laced with his singular Christian mysticism. C.S. Lewis regarded MacDonald as his “master,” declaring, “I know hardly any other writer who seems to be closer, or more continually close, to the Spirit of Christ Himself.” G.K. Chesterton cites MacDonald’s The Princess and the Goblin as a work that had “made a difference in my whole existence.” With Lewis, Chesterton and four other British authors, MacDonald’s life and work is featured in the Wade Center on the campus of Wheaton College. But he also figures in the spiritual development of three authors whose papers are collected in Special Collections, a separate archive from the Wade but also located at Wheaton. Another keen admirer of the mystic Scot was Oswald Chambers (SC-122), who copied into his diary extensive passages from MacDonald’s books, not distinguishing George’s words from his own. After Chambers’s death, his widow, Biddy, prepared the notes for publication, not realizing that much of the material, so provocative and eloquent, may not have been original to Oswald. MacDonald’s touch is also seen in a rather unexpected corner of the literary world. Visiting the Ernest Hemingway Museum in Oak Park, Illinois, you will see a display featuring a MacDonald poem called “Baby.” The poem meant much to the Hemingway family, and its pious sentiments surrounded the dedication of baby Ernest to a long, productive Christian life – which, sadly, did not occur. Ernest’s father, Anson (SC-209), attended Wheaton College, and was a friend of Jonathan Blanchard. Where did you get those eyes so blue? Out of the sky as I came through. What makes the light in them sparkle and spin? Some of the starry spikes left in. Where did you get that little tear? I found it waiting when I got here. What makes your forehead so smooth and high? A soft hand stroked it as I went by. What makes your cheek like a warm white rose? I saw something better than any one knows. Whence that three-cornered smile of bliss? Three angels gave me at once a kiss. Where did you get this pearly ear? God spoke, and it came out to hear. Where did you get those arms and hands? Love made itself into bonds and bands. Feet, whence did you come, you darling things? From the same box as the cherub’s wings. How did they all just come to be you? God thought about me, and so I grew. But how did you come to us, you dear? God thought about you, and so I am here. Without doubt, through direct and indirect influence, MacDonald’s writings have influenced millions hungry for a taste of God’s tender mercies.